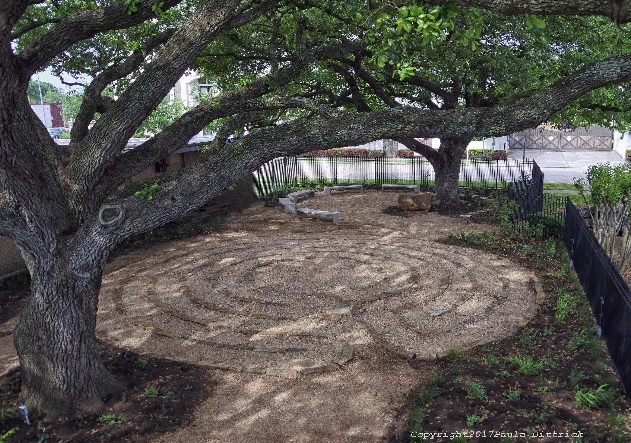 Join us as we walk together in the new Contemplative Prayer Garden and Tree of Life Labyrinth at Grace Episcopal Church. An interfaith evening of sacred meditative music and chants will be provided as part of the 2017 Compassionate Houston Week, co-sponsored by Grace Episcopal Church, Congregation Brith Shalom, and Interfaith Ministries for Greater Houston (IMGH). Benches and chairs are available for those who prefer to sit and simply listen. IN CASE OF RAIN: We will gather inside one of the large general use rooms at the church to listen to the music and there will be opportunities to visit and have refreshments.